Our Earth Dinner was a delicious and heart-warming night including chocolate prizes, delicious kale soup, quinoa salad, and much more. 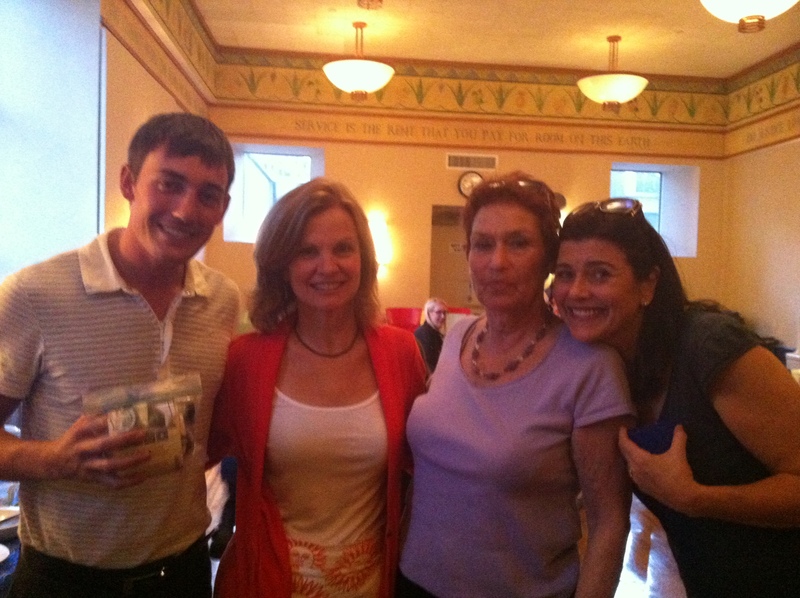 Thanks to the generous donations of community members, we had a lovely meal, full of conversation. 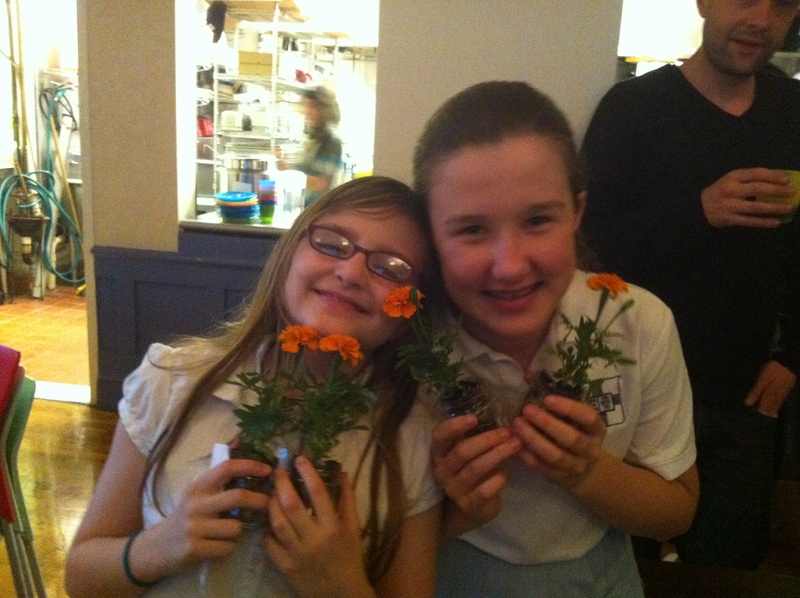 Mr. Semlear brightened up the event with a collection of gorgeous marigolds potted in little recycled jars. Thanks to all for joining us, and for making it so much fun. Help Farmers – Get More Greens! This summer, Hurricanes Irene and Lee put enormous pressure on our local ecosystem. The GROWnyc program has tips and ideas for families that wish to help farmer’s make it through a tough season. Go to grownyc.org for more information. Greenmarket’s Hurricane Irene Relief Fund: As the flood waters begin to recede from the fields upstate, we will learn about the full extent of the damage caused by Hurricane Irene in the days and weeks to come. Counties in New York, New Jersey, and Vermont have been declared “major disasters” by the federal government. The Black Dirt region is still flooded, Sullivan County and Ulster County have seen significant damage, and there are parts of Greene County that no longer exist. We estimate that 80% of Greenmarket farmers have been impacted, with about 10% reporting severe loss—80-100% of their products. Give what you can, but those of you donating $50 or more and dedicating it to “Hurricane Relief” between now and September 30 will receive a free Greenmarket poster illustrated by artist Claudia Pearson. 100% of all donations will directly support Greenmarket farmers impacted by Hurricane Irene. 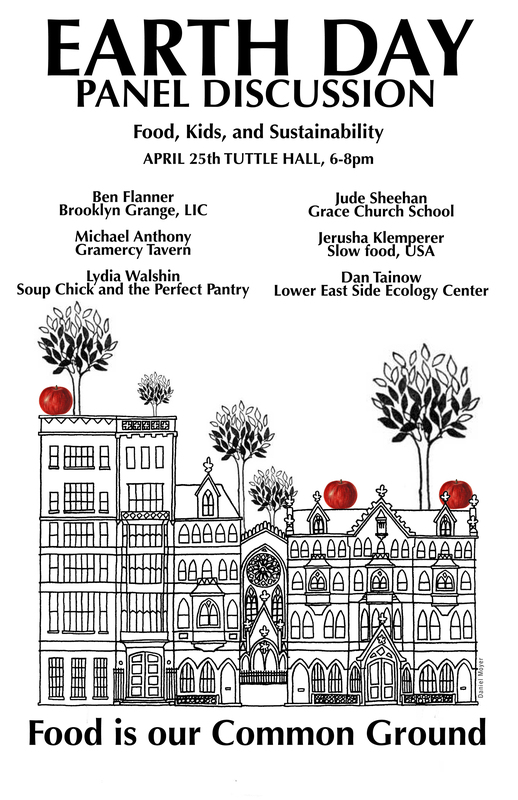 Grace Church School is hosting a panel discussion about Food, Kids, and Sustainability on April 25th at 6pm (86 Fourth Avenue, 10003). We are invite you to be a part of the discussion! 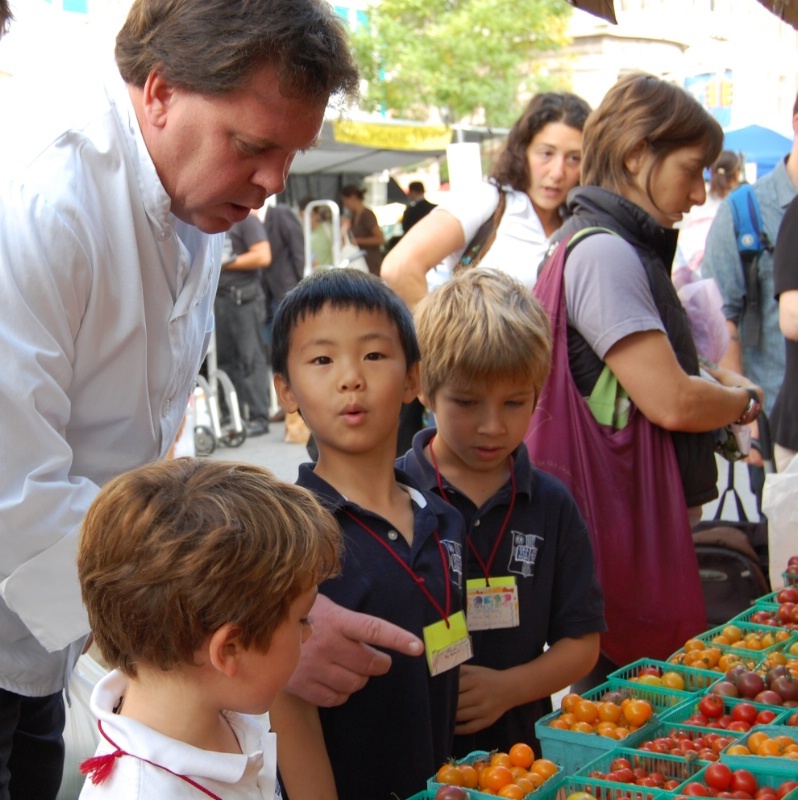 We plan to focus the discussion on the guiding idea that “Food Is Our Common Ground,” emphasizing the power of children’s eating habits to transform our homes, our schools, and our city into a sustainable place. Please RSVP if you’d like to attend but are not a GCS community member. We welcome all interested guests! 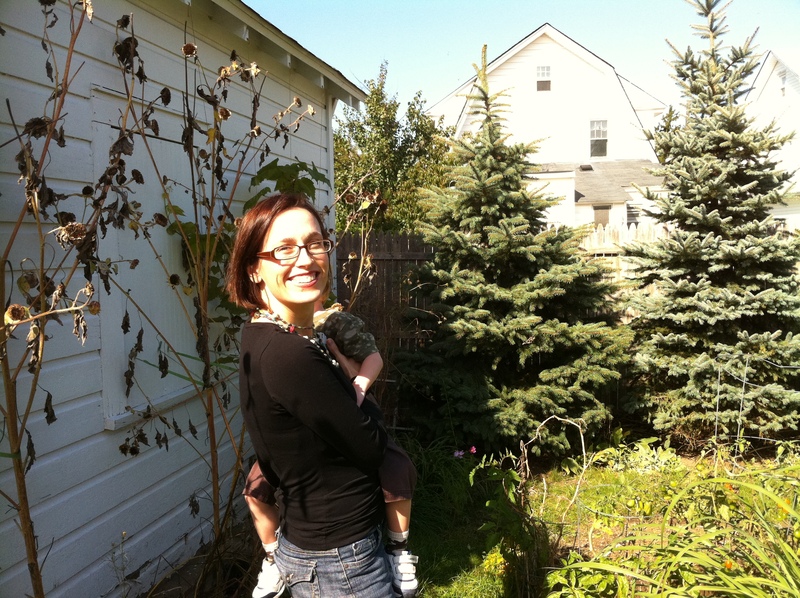 Jerusha Klemperer is the associate director of national programs at Slow Food USA, a grassroots network of volunteer chapters that are working towards a more just and sustainable food system. She is also a writer of all kinds of things including book reviews, blog posts, and tweets, and is a contributor to the Huffington Post, CivilEats.com, WellandGoodNYC.com, and her personal blog Eat Here 2 (eathere2.blogspot.com). She is an alum of Grace Church School, with fond memories of cooking and learning with Mrs. Hayes back in kindergarten. 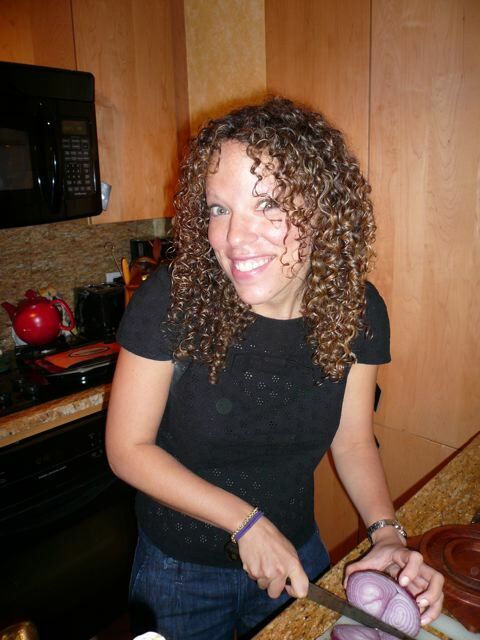 In her free time she sometimes cooks up food and fun with Conni’s Avant Garde Restaurant (avantgarderestaurant.com). Daniel Tainow learned the importance of protecting our environment early in life while exploring the disappearing forests of New Jersey and fishing with his family aboard his uncle’s NY/NJ Baykeeper boat in the Hudson-Raritan Estuary. Daniel earned a Bachelor of Science in Environmental Science and Engineering from James Madison University in Virginia, and then went on to earn a Master of Arts in Environment and Community from Humboldt State University in California. He has taught and organized environmental education programs as an AmeriCorps Member and a Naturalist in Cape Cod National Seashore, Point Reyes National Seashore, Watchung Reservation in New Jersey, and most recently as the Manager of the NYC Compost Project at the Queens Botanical Garden. Daniel has been a resident of the Lower East Side for five years. He is a member of Transportation Alternatives East Side Committee, serves on the board of the Western Queens Compost Initiative and hopes to volunteer at a local community garden now that he no longer has an hour and a half commute. 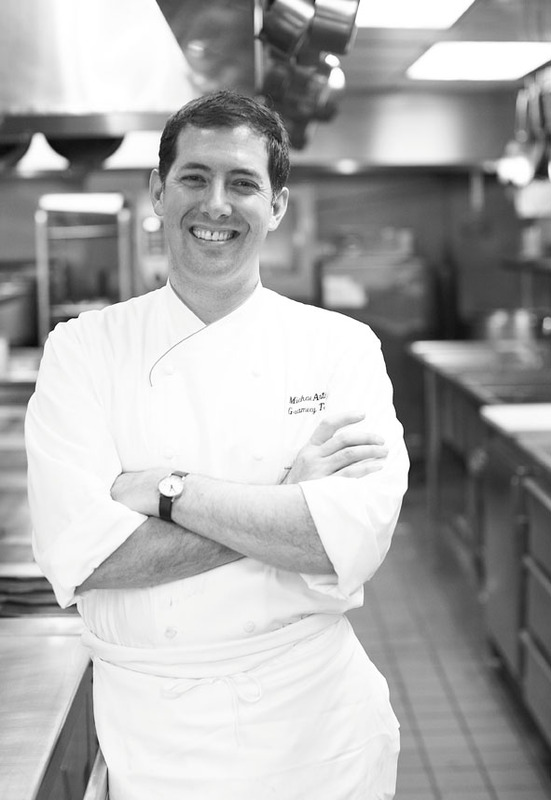 Chef Jude Sheehan has been re-imagining Grace Church School’s lunch program for years, bringing new, innovative recipes, green ideas, and energy saving practices to our kitchen. He is a well loved member of our community. Just ask any student at GCS! Head Farmer Ben Flanner is a trained engineer with a background in finance. In 2009 Ben founded Eagle Street Rooftop Farms, the first rooftop soil farm in New York. Ben’s tedious record keeping, attention to detail, and relationships in the community are a crucial asset to the farm. The Green Gremlins have been studying the film Food, Inc. and talking about food systems, and food safety. James Beard once said, “food is our common ground,” and we can see the truth in this as pedestrian New Yorkers, sharing meals, packaging wastes on the streets, and the occasional scene of homelessness and hunger. This Grow, NYC video explores the role of Bodegas in our lives. Green Cup Challenge Video: Snack Attack! You can VOTE FOR GCS, and see the video submissions of other schools at the Green Cup Challenge website. Here’s a quick, fun, update! Another unrelated video contest is being held for high schools called Green For All. Here is a great submission from the Climate Crew! Enjoy! You may be eyeing your tree and starting to think about how much longer it will last this year. Maybe you’ve fallen in love with it, and wish it could last a little longer. Don’t despair! There are many ways to extend the life of your tree for months to come. A great article in the NY Times shared ways to make tea and Spruce Butter. When you’ve used your tree as much as you can, don’t forget to take it to Mulchfest 2011, held all around the city on Jan.8. Do you have other items that need to be recycled after an exciting holiday? There is an extremely useful program available via the Treehugger Mobile App. If you have a GPS-able smartphone, add the free Treehugger app. You’ll see a symbol for recycling. Once you choose the items you want to recycle (including many things not recyclable by the city) you’ll see the closest location to take your items. For example, if you have #6 plastics (polystyrene) that tend to pile up over the holidays, you can take them to some participating Mailboxes, Etc.! We have many secret gardens at GCS. Families, parents, teachers and children grow food and share their gorgeous produce more often than you would think. We hope to feature a new gardener regularly. 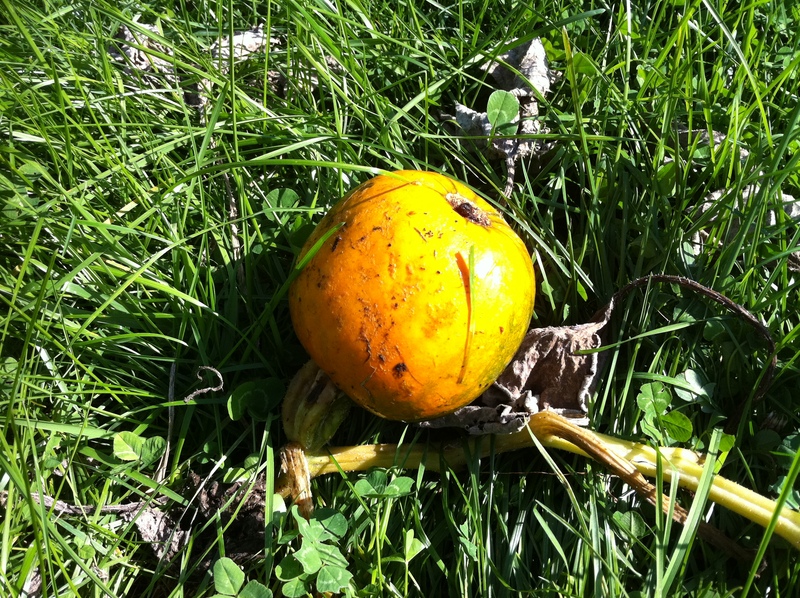 This month, we have a beautiful pumpkin to share, growing in Ms. Saccone’s garden in Lynbrook, LI. Eggplant, green pepper, sage, cucumbers, tomatoes…Ms. Saccone’s garden was full of gorgeous produce this fall.